Departure is from the pier of Riposto. We will take you to places of interest, such as the famous "Isola Bella" known as the "pearl" of the Ionian Sea , the Blue Grotto , the cave of love and the rock of the prickly pear . 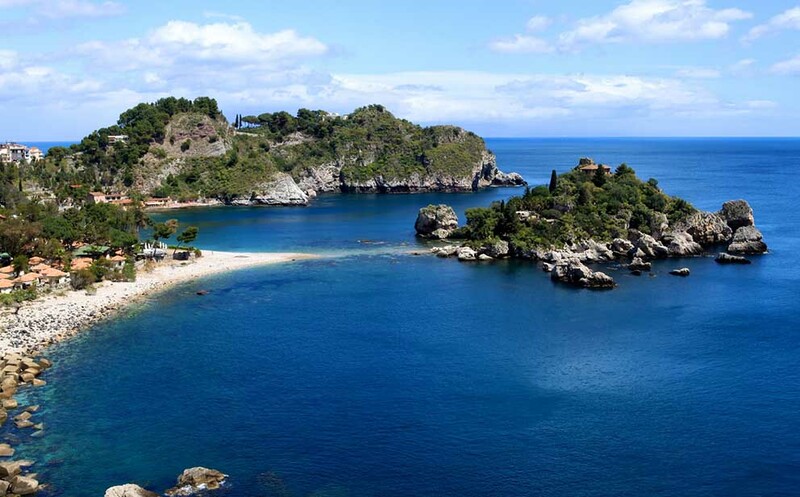 During the excursion, the boat stops to give people the opportunity to enjoy a refreshing swim in the beautiful clear waters of Taormina. For snorkelling enthusiasts the underwater world will surprise you with the many shades of color , the vegetation interesting finds in the history of Sicily as the Roman columns of 400 BC Cape Taormina . After the tour of the Mini Cruise day trip to Taormina and Isola Bella , the captain will offer refreshments with the seasonal fruits .